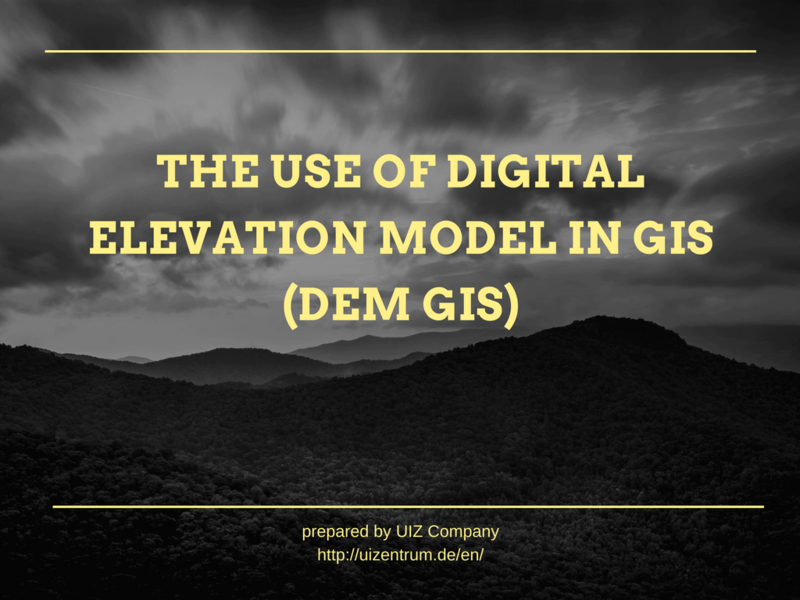 Digital elevation model deals with the digital representation of earth’s surface without objects like plants or buildings on it, and from now on we will refer to it as DEM. DEM is created by continuous terrain elevation values over a topographic surface which can be either on earth or on another planet or moon. A DEM generally can be found and used in many free applications on the web, but usually lacks in quality. There is a variety of sources like ASTER and SRTM with 30 meters resolution which is very good analysis, however, their orbit is not around the globe, for example on the polar or the water masses. Therefore, creating a digital elevation model in GIS is the best solution and that’s why we deal with DEM. 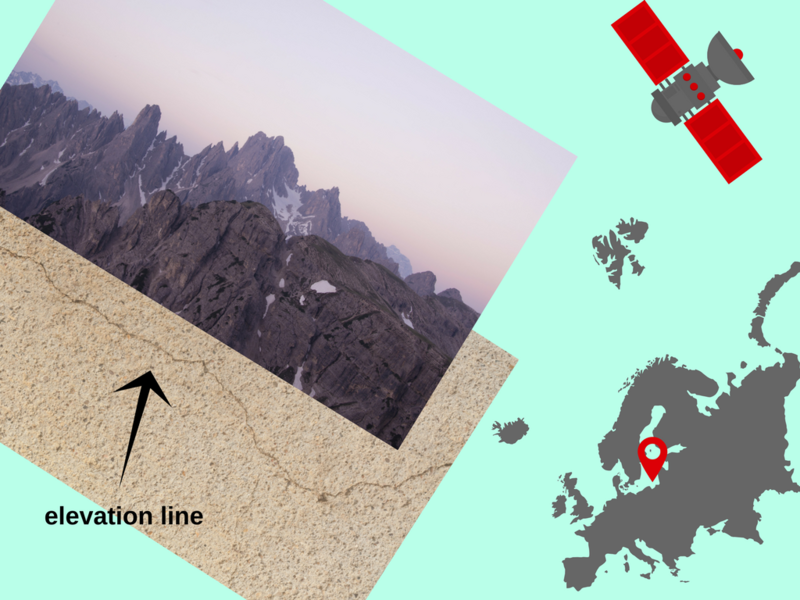 GIS gives us the ability to find or create data from a big variety of sources and techniques so that to cover the whole globe with the corresponding elevation points. 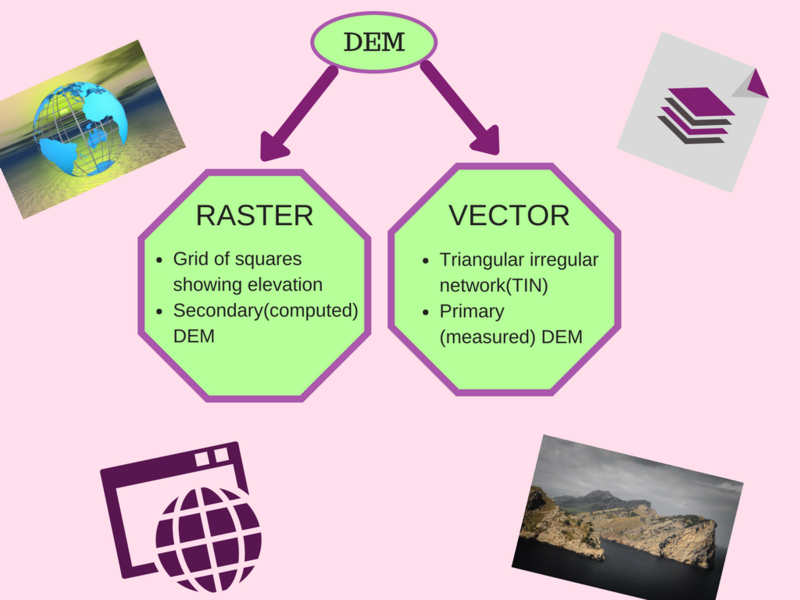 On that point, it is useful to distinguish the differences between DEM, DSM (digital surface model) and DTM (digital terrain model). The most general term is the DSM including elevation, terrain, and manmade features. DTM usually provides information about soil and elevation, while DEM provides information only about the height of ground at every point. We deduce that DTM and DEM are subsets of DSM, while DEM is the most targeted and specific model created for scientific purposes and decision making. Even though, DEM is a subset of DSM it is widely used as a general term in order to describe both DSM and DTM. There are several methods and sources where we can obtain elevation data for earth’s surface in order to create DEM. Remote sensing is one of them, with all the tools this science can provide, even if this is a satellite or an aircraft. There are more techniques included in remote sensing technology, such as Real-Time Kinematic (RTK), which gives us the enhanced precision of position in the data received from satellites. A special instrument consisted of a telescope and placed in vertical and horizontal planes to measure angles and redeem elevation data. Essentially it is a big and electronic theodolite used for on-site surveying and construction, equipped with a machine to read slope and aspect of the ground. A mechanism which measures velocity for objects in distance, emitting a microwave signal to the target and analyzing the altered frequency when the signal returns. An algorithm used to count depth with an optic system. Having depth values for a whole area we can create the equivalent DEM. A whole category of techniques, usually using a sensor, to measure and show the distance of various points in a picture from a specific point. The image consists of values which represent the distances. In that way, the final result has the form of DEM and we can extract elevation data. A technique which combines photogrammetry and range imaging. It gives us the ability to create a 3D image from a 2D structure and in that way to estimate slopes of the ground and produce DEM. DEM is widely used for innumerable applications, as the slope of the ground is really useful and necessary to know in order to explain phenomena taking place on earth’s surface, to make decisions about environmental problems and generally to understand how terrain works. More specific, DEM is used to extract terrain parameters which are going to be used in geomorphology science, to model surface runoff, water flow, soil humidity according to the depth which is also a function of the slope and the elevation. There are many more applications where DEM take place, from the simplest which is infrastructure design and engineering, to the most unexpected such as flight simulation, intelligent transportation systems, archaeology, auto safety and precision farming and forestry. It is obvious that DEM is a great tool created to simplify whatever has any direct or indirect relationship, with terrain slope and elevation. Using it, we can better realize what is going on, on the ground and evolve sciences like geomorphology, gravimetry, geodesy etc. with new discoveries. UIZ Company is a great source of information about DEM, and all the sources where we obtain data for its creation, like remote sensing, photogrammetry etc. If you want to know more or to commission the completion of your project, just call us at +49-30-20679115 or visit our UIZ webpage.